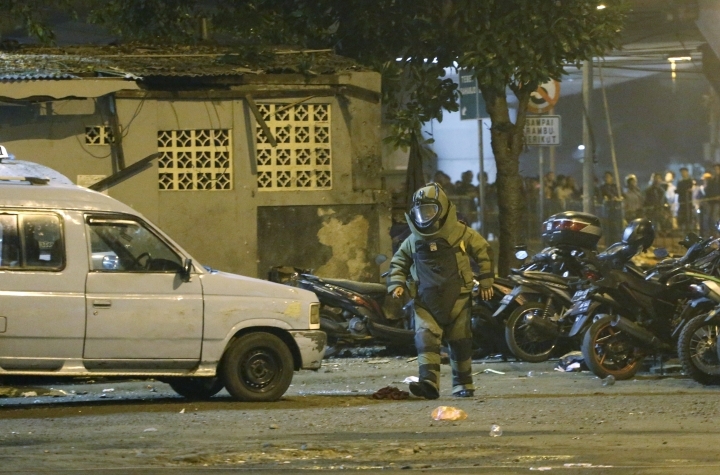 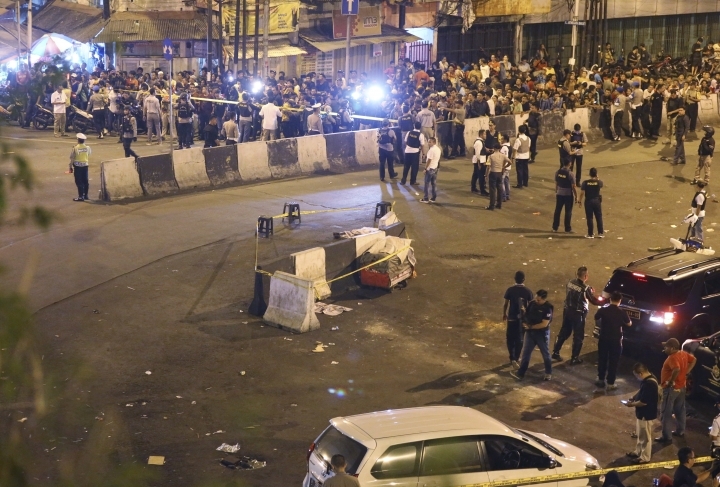 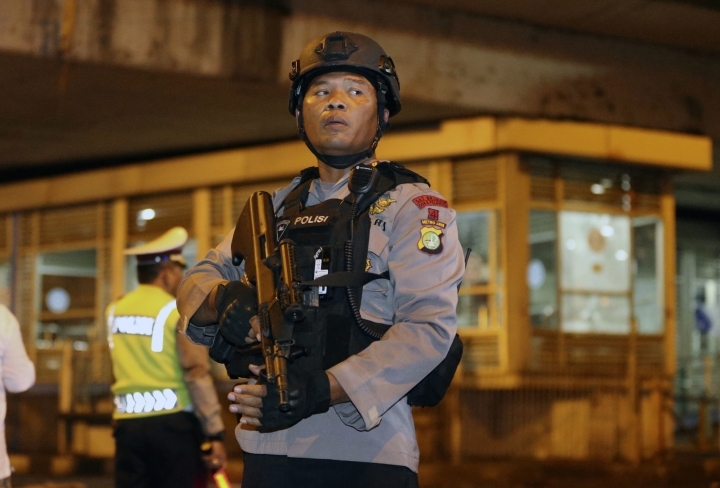 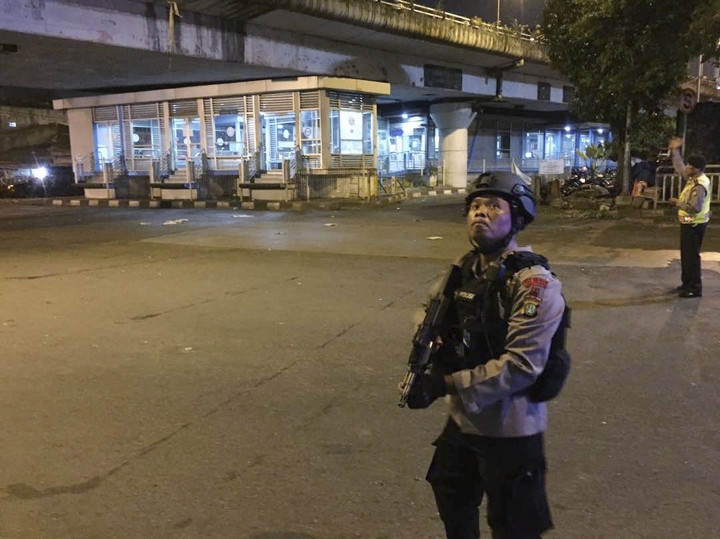 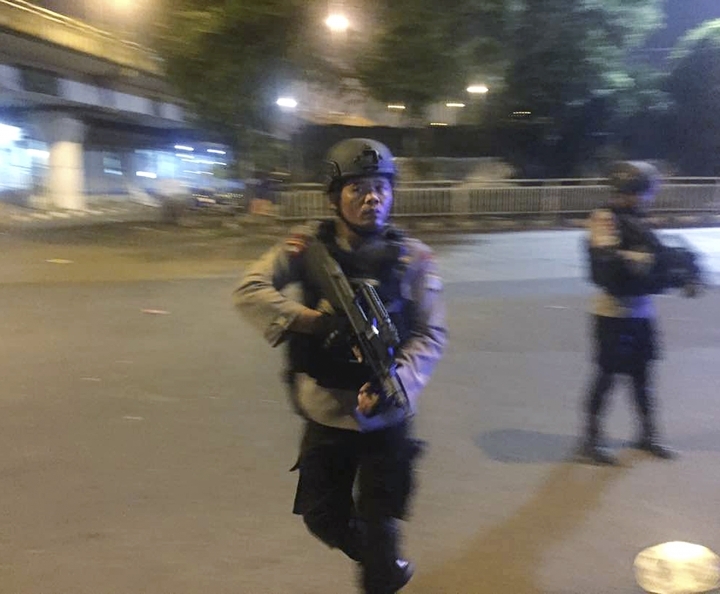 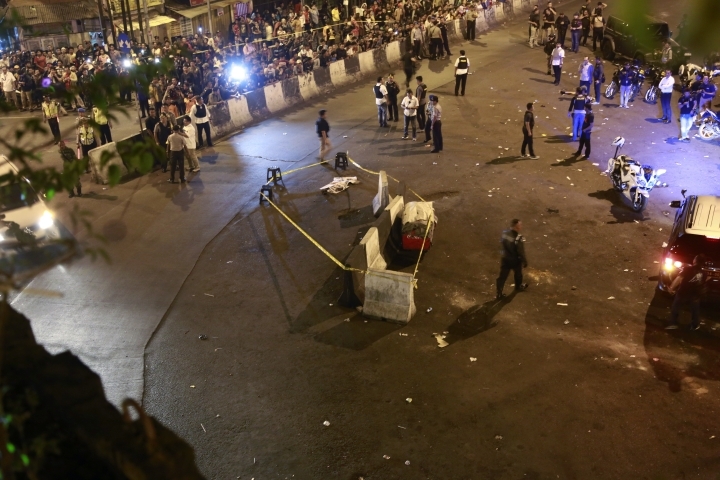 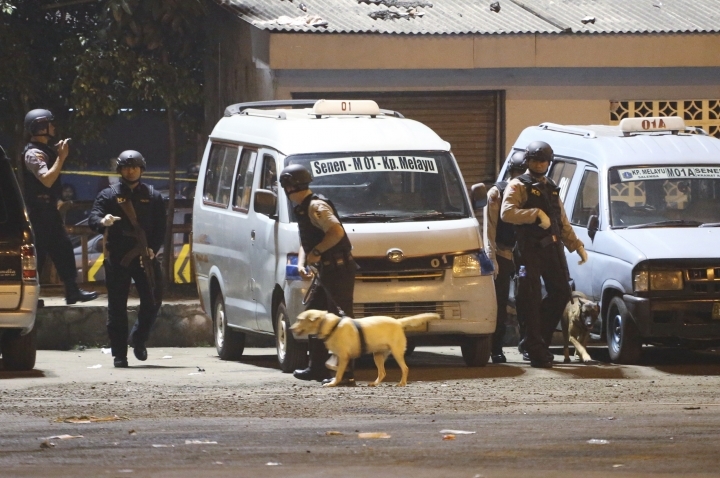 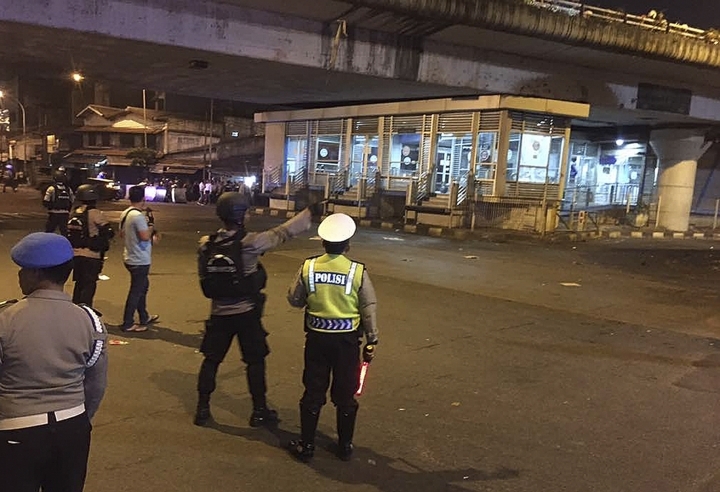 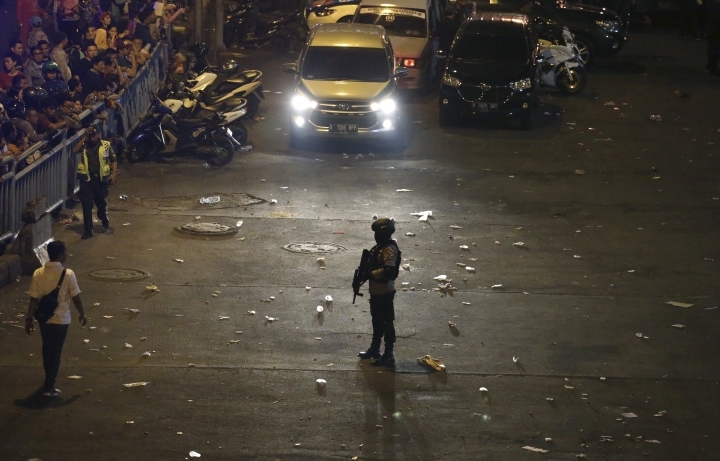 JAKARTA, Indonesia — Two suspected suicide bombings near a bus terminal in Indonesia's capital Wednesday night killed three policemen and injured ten other people, including five officers, police said. 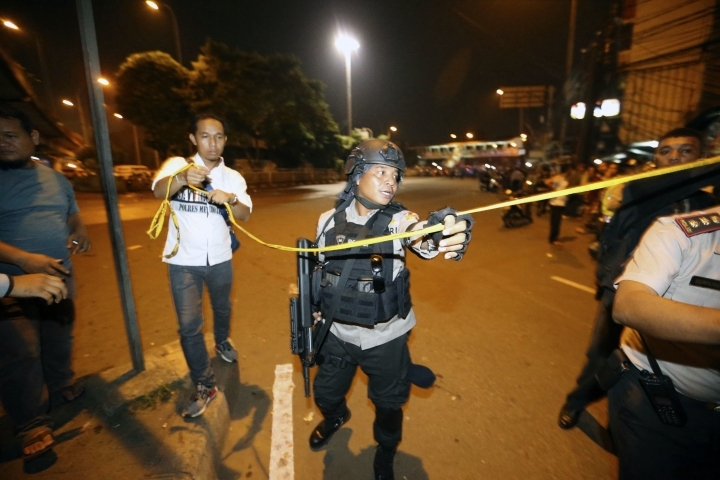 He added that ten other people — five policemen and five civilians — were wounded and were taken to several hospitals. 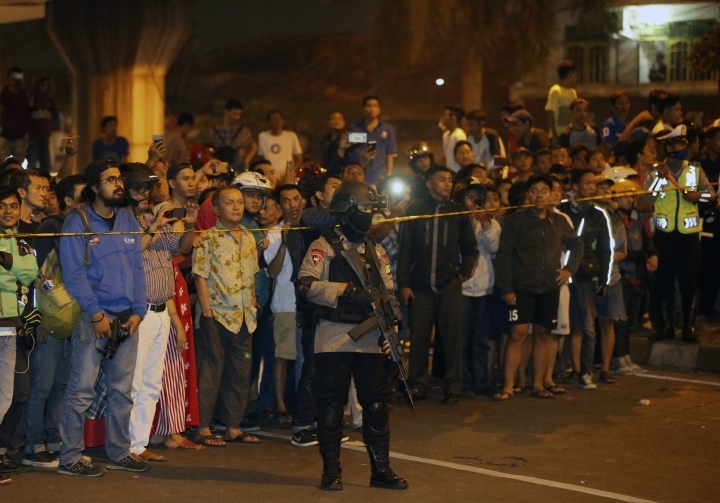 Indonesia, the world's most populous Muslim-majority country, generally follows a moderate form of the faith.